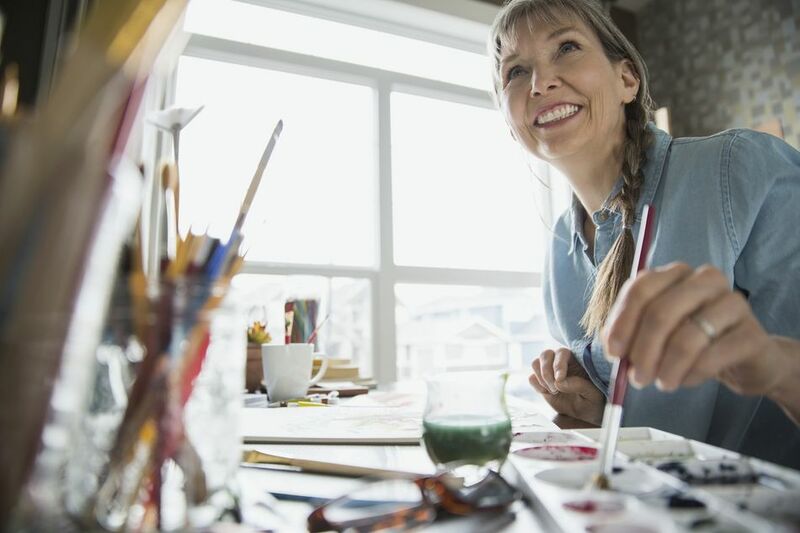 Artists, musicians, writers, dancers, and composers all need time away from the worries of everyday life to conceptualize and create their work. The artist residency or artist colony—a concept that has been around for more than 100 years—is just such a place. A residency in one of these programs can be transformational for an artist. Artists' residencies specialize in specific genres. Some residents target painters, while others are for digital designers. Some artists' residencies are located in rural areas, while others are in bustling cities. What all residencies have in common is that they provide a living and working space for artists so that they can focus on their art. A residency program is always for a specific period of time, but that time frame can last from one week or one year. The Aomori Contemporary Art Centre (ACAC) was established in 2001. Located in woodlands in Aomori, Japan, the residence was designed by ANDO Tadao for the purpose of helping strengthen the arts in that area of the world. The ACAC’s AIR Program candidates are selected biannually through both recommendation and public offerings. Each program is approximately a three-month residency. ARCUS was established in 1995 and is located near Tokyo, Japan. A converted elementary school with individual classrooms serves as the artist residency complex. According to ARCUS, "In the end, (feasibility aside) the selections are made based on the uniqueness of the proposal in regards to what the artist intends to do in Ibaraki Prefecture or Moriya City. In other words, we do not select artists whose proposals are not specific to the location of the residency program, even if the candidate had an outstanding portfolio or career history. We also make a conscious effort to select artists from countries that ARCUS Project has not invited from in the past." Arts-in-Residence Taipei (AIR Taipei) was established in 2001 and is located at three sites. The Taipei Artist Village is in central Taipei near the bustling residency train station. The Grass Mountain Artist Village is in the Yangmingshan National Park. The Treasure Hill Artist Village is located on the Xindian River in what was once KMT soldiers' illegal settlements in the late 1940s. Residencies are offered in the Performing Arts, Visual Arts, Architecture, Curatorial and Research, Writing, Music, Interdisciplinary, and Arts Administration. The Artist-in-Residence Program is a fully funded residency for one to three Asian artists. The Support Program for Visiting Artist and Researcher/Curator: This non-funded residency is available for a limited number of artists and researchers/curators. FAAM invites Asian artists, researchers, and curators to stay in the museum to engage in various exchange programs with the local community in Fukuoka. Participating artists and researchers/curators are expected to take part in an art exchange program such as talks/presentations while at the residency. They also have the opportunity to organize events and/or exhibitions to share their accomplishment. Instinc AIR Artist-in-Residence (INSTINCAIR) was established in 2009 by Singaporean artist Shih Yun Yeo. The program is an independent, flexible artist-run space, set up for artists to pursue their practice with a high level of support. It was created for artists as a space conducive to artistic production and convenient, comfortable living. INSTINC prides itself on providing a unique framework for young artists from all over the world with limited experience and affords them the opportunity to bypass large-scale institutional residences. Artists are provided space where they can experiment, foster dialogue, become involved in critical discussions, cultivate professional and personal connections, and examine the potentials of contemporary artistic production. Red Gate Residency was established in 2001. This international artists' residency program is open to artists, curators, researchers, and is intended to help them connect with the art scene, meet local Chinese artists and to source art materials. The residency's main objective is to provide facilities for artists so that they can easily start their projects and offer artists a community in which they can participate as much as they like. They provide support and encouragement to help residents get the most of their stay. They help artists get settled, show you around, tell you where to buy the best Peking Duck, which part of the Great Wall not to go to, and where and when the latest openings are. All residents are invited to Red Gate Gallery events, including private dinners after the openings. The Rhizome Lijiang Art Center Artist-in-Residence program was established in 2009 and is located in a historical area of Yunnan province. It helps emerging or established artists with residences for research and experimentation in China. Special consideration is given to artists who wish to explore the boundaries between local life, the environment, and the arts...in addition to working on their own art. The Shigaraki Ceramic Cultural Park, Artist-In-Residence Program was established in 1992 and is located in a historical pottery village near Kyoto, Japan. This residency is geared to the professional ceramic artist. The program says there are two types of artists working there. The first group of artists is studio artists who stay and work there once they've been accepted through the program's application process. The second group is guest artists who are invited by the Ceramic Cultural Park to work here. A limited number of guest artist positions are open for artists to apply. The goal of the Institute of Ceramic Studies is to enable artists to improve the level of their work by fully utilizing the center's facilities while interacting with a variety of other artists.